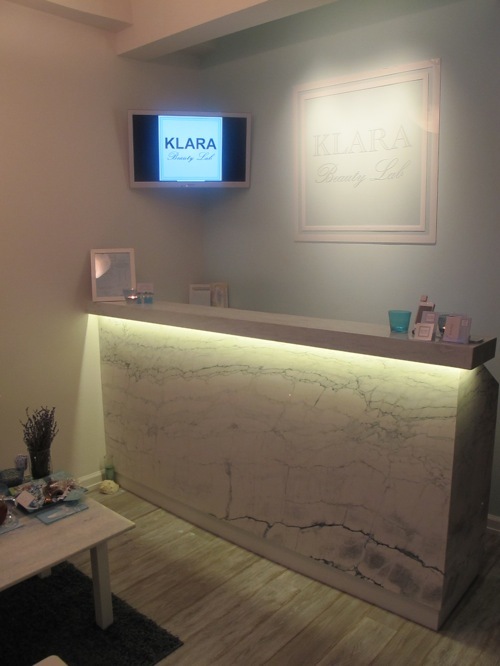 For a truly bespoke facial, you have no excuse not to visit Klara’s Beauty Lab in the Upper East Side. 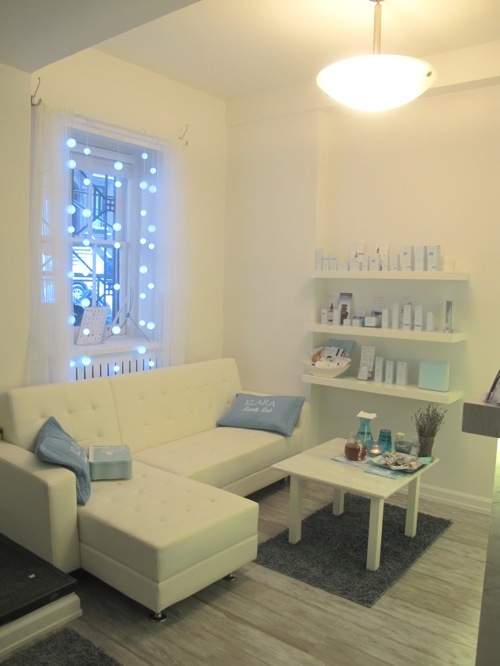 The brand new medi-spa only opened a month ago, but you would have never known — this spa was completely well-thought out from a beautifully-finished decor to their signature services and all thanks to its brainchild, owner Klara Chrzuszcz. I went the very next day after the crazy winter storm by the name of Nemo, and was by far the most luxurious experience I’ve had yet. 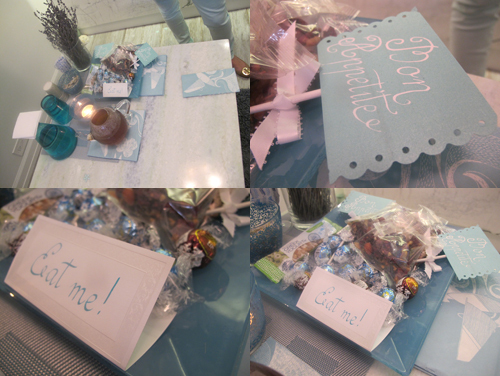 Klara, the petite, doll-like owner was right there to greet me with an ear-to-ear smile when I walked in her spa. She was, I couldn’t help but note, outfitted to match the mint-green furnishings of her space in the most stylish of ways. She seemed too hip to be my facialist! But if you have any doubt, they are almost running out of room to hang all the wall-to-wall certificates of her credentials. 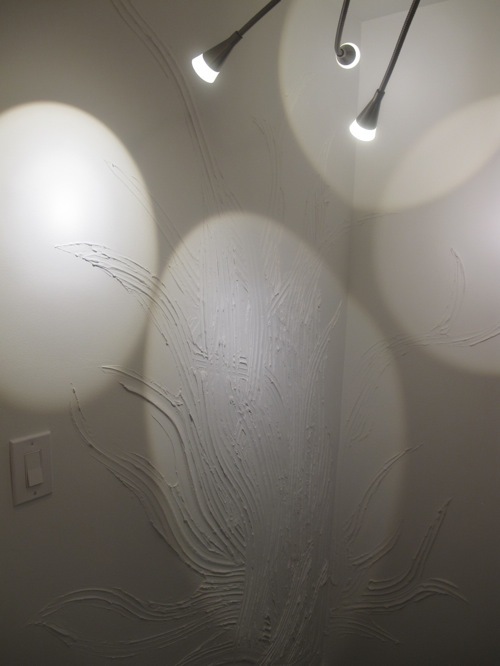 After taking a peek at the plastered walls (all done by Klara herself), and cozy rooms (the massage room even has the most hi-tech shower to use right after), I was asked to take my place in the facial room. I was told the facial could take a couple hours and I was already wondering how I could sit idle for that long, but I couldn’t have been more wrong. After taking a brief survey of my skin concerns, following a test to see how hydrated my skin is, Klara went to work. 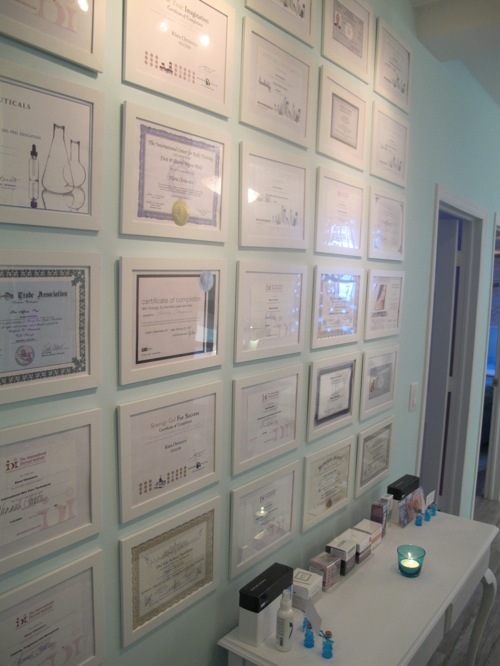 Since the treatment is so customized, what I had done may not be what the next person needs. 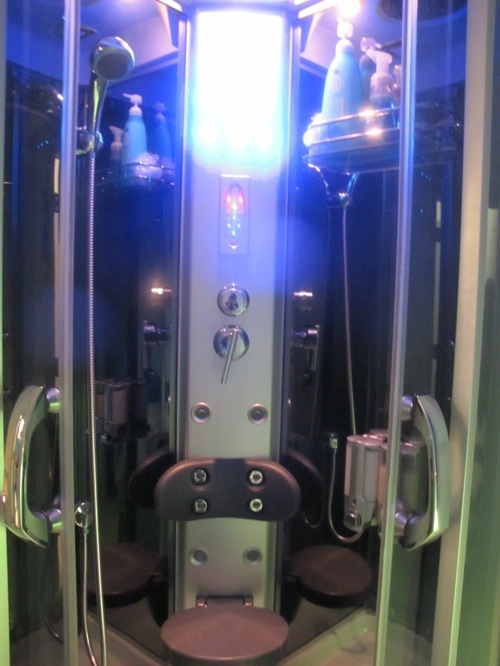 Regardless, Klara concocted a special procedure, switching from cleansers, to a hydra-derm abrasion (micro derm but with water), microcurents, oxygen infusion, brushing on masks, a chemical peel, following with potent serums with hyaluronic acid and polypeptides, and even elements of reiki (Japanese stress-relieving methods Klara is well trained in). The time flew by much faster than I had anticipated and I emerged from the room glowing. There is definitely magic in her fingers. There was no sense of rushing me out. Klara talked to me about diet, advised me to take vitamin C pills to help sustain the brightening effects of the facial (I listened and bought a bottle right after at my local drugstore). There was no product pushing, no hasty goodbyes…even though I would expect that after hearing that an A-list Hollywood celebrity booked her appointment right after me. I felt kinda special and walked out practically floating. 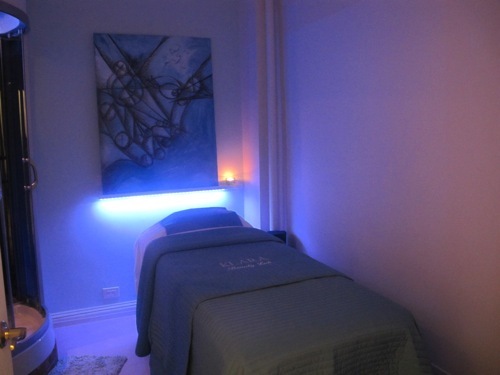 The spa offers her fully-customized facials for $250 (goes up depending on what services you get…these are UES’er prices but worth its weight). Other services include massages ($80 and up), and waxing ($20 and up). 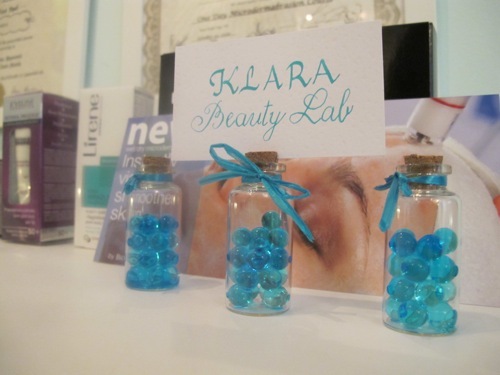 To book an appointment, call 212-390-0239 or visit their website at klarabeautylab.com. Tell them I sent ya, you WON’T be disappointed. 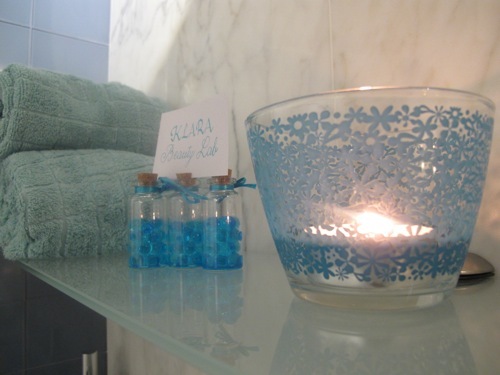 I have visited this Gem of a Spa as well and was so happy with the service i received. Klara is amazing and everyone should know about her . She is the warmest and most caring individual and puts her heart and soul into everything she does. The facial was amazing and did last about 2 hours. I have had many facials in the past but this by far was the best and cannot wait till my next visit.